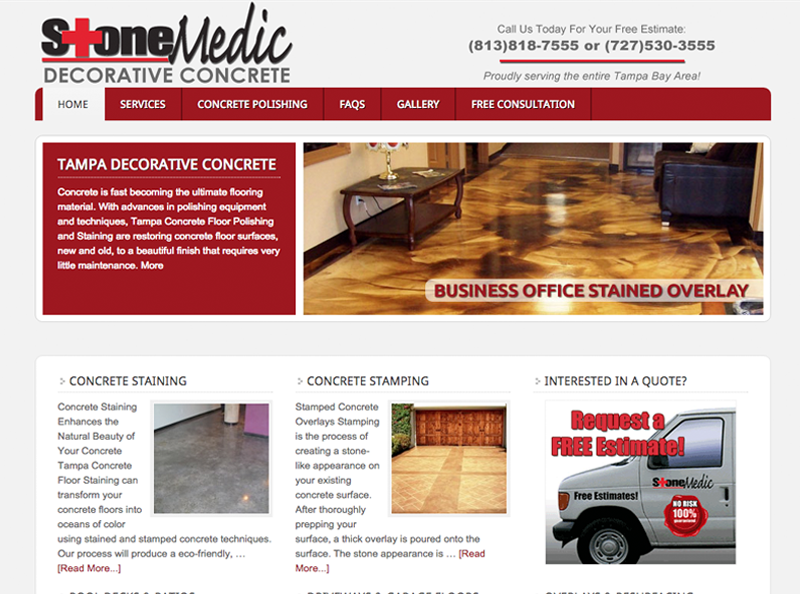 StoneMedic is a leading service provider of decorative concrete in the Florida area. Their services range from concrete staining and stamping to concrete overlays and polishing. Website Design, Social Media Management, and Internet Marketing Consulting.